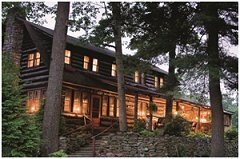 The Gateway Lodge is located on 14870 Route 36 in Cooksburg, Pennsylvania. 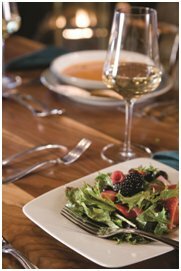 This grand inn offers delightful cuisine with seasonal fresh foods creatively prepared and sustainably sourced. Compliment your dinner with a bottle of wine from their award-winning collection. Treat yourself to breath-taking surroundings and a day in the Woods Spa for a massage or aroma treatment. Overnight accommodations are also available. Experience an event themed weekend or ask for their special packages.